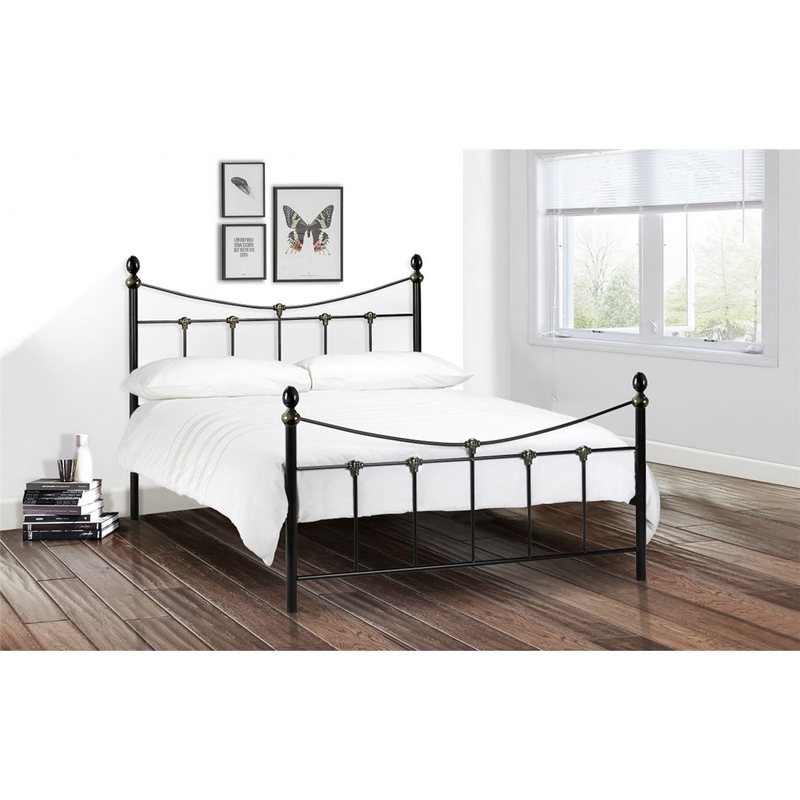 Black & Antique Gold High End Metal Bed Frame - Double 4ft 6"
The Black & Antique Gold High End Metal bed frame has a curved head-board and foot-end which adds extra detail. The powder coated black finish contrasts with the antique gold highlights giving the bed eye catching looks. 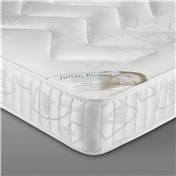 It has a sturdy metal construction and also features sprung slats for added strength whilst maintaining extra comfort. 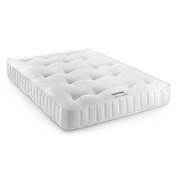 The frame is designed for a 135cm x 190cm mattress please note bed frames do not include mattresses. 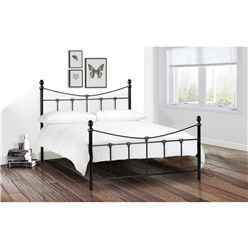 This frame design is also available Single size.